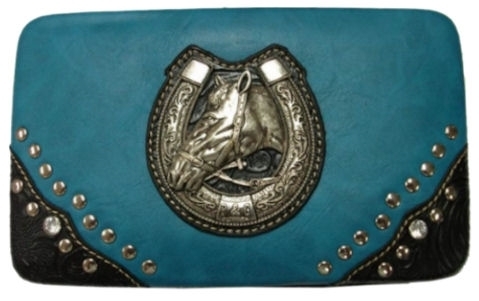 Order Horse and Western Theme wallets online in a variety of styles and sizes. A rustic western wallet by Nocona! Crafted of genuine leather. Inlay at top corner features hair-on hide & two-tone rowel concho. Ample interior slots & pockets. A stylish Nocona western tri-fold wallet for the western cowboy! 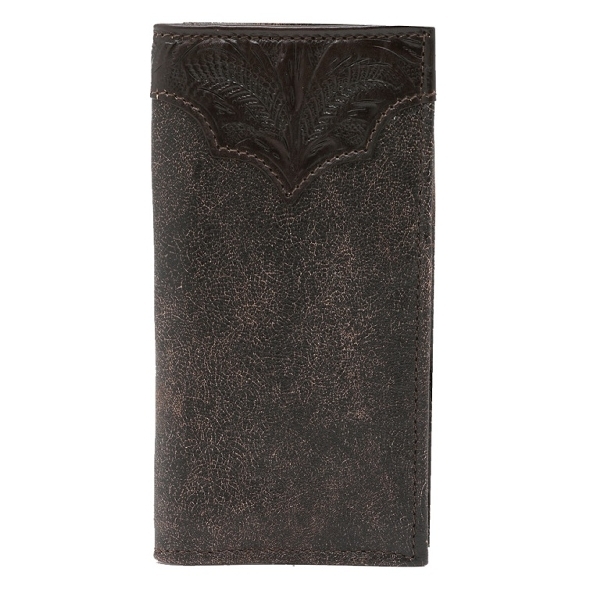 Made of genuine leather, this wallet features a visual window for your passport or drivers license that is removable, credit card slots, a full length pocket for your bills and photo insert. Measures 3 5/8" x 4 1/2"..
MORE Western wallets for men and women at Sheplers.